If you follow information about outdoor education and the international movement to help children experience the outdoors, you will enjoy hearing a recent talk shared by the Pecha Kucha office in Tokyo. 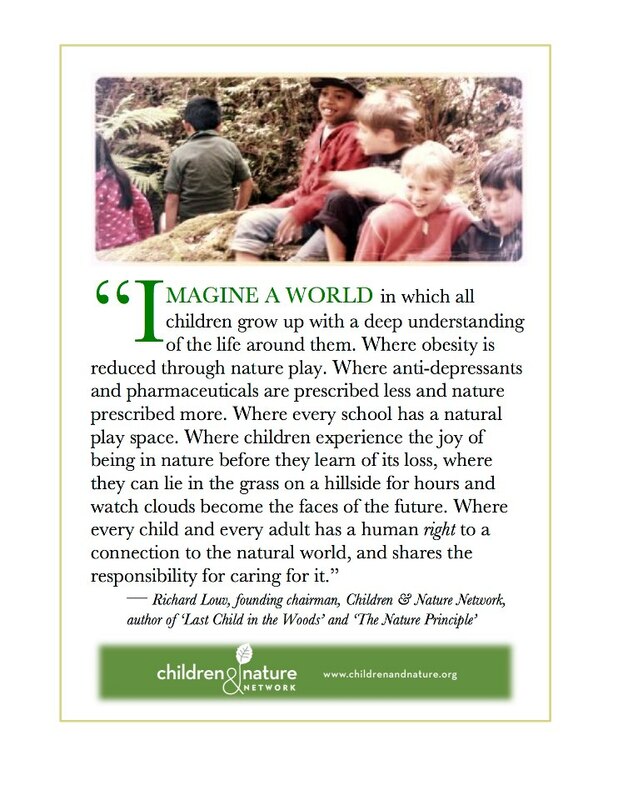 The subject matter fits perfectly with the ideals that have been expressed by promoters of the outdoor education movement. Englishman David Pollard spoke about his work with collaborators to create houses or objects using natural or recycled materials such as earth, branches, wood and flowers. He starts his Pecha Kucha talk with an interesting challenge. Most of us have had a creative idea but for some reason or other abandoned it. He suggests that this idea could have been a winning opportunity and then goes on to explain how he took on projects even though he was discouraged by people who knew him. He has also gone from one project to another based on the interest that people have shown in his creative skills, resulting in unexpected twists and turns in his career. David explains that the most powerful brands are those that sell you a feeling. His brand focuses on simplicity and the natural world. Pollard’s Happy Soil Project began in Birmingham, England where a child’s drawing of a house was used to create a structure made out of branches. The structure was then transported to the centre of the city where it was displayed as an outdoor installation. 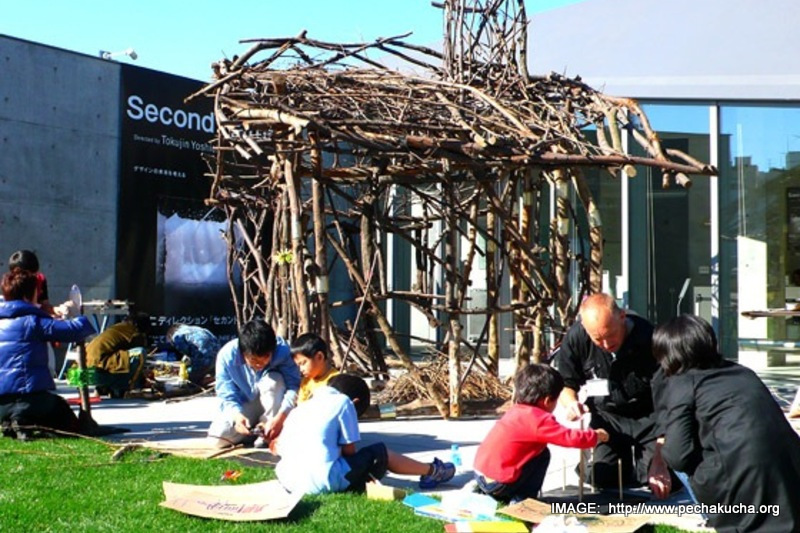 The Natural House project in Japan evolved into a workshop for children and their parents that accompanied an art installation in central Tokyo. (Further information and photographs.) Following the creation of preliminary drawings, the children and adults made a house out of locally sourced sticks and branches. David’s Partner Tomonari Waku explains: We asked them, “What can you see around you?” For example, a big tree, a big building. “What kind of town do you want to make?” We then helped them to make a house they wanted to see. […] We want to create an oasis within a city. Oasis is the concept. It is also a communication tool, allowing people to connect. You can also go inside [the Natural House]. In the summer it is very cool. Outside it is very hot but inside it is very cool. On a much smaller scale, these projects are a reminder of fairy houses children build in gardens and forests. In one of the main BC Girl Guide camps there is a small area dedicated to these small, natural houses. Thinking of something in between impromptu fairy houses and these projects in Tokyo, what could children and adults in British Columbia consider creating with their own ideas, drawings and natural materials? Interview with Tomonari Waku and David Pollard.